Since the mid-20th century large-scale generation plants have been built to provide a national power supply. Using coal, gas, water or nuclear resources, power stations and electrical substations can cover quite large areas of land. The reservoirs created as part of hydro-electric systems are recorded separately as HLA data, along with those built for public water supplies. More recently groups of wind turbines have been constructed, extending over vast areas of moorland or within forestry. Connected by kilometres of tracks these are recorded as HLA data associated with power generation, rather than the land use of the ground on which the turbines are built. 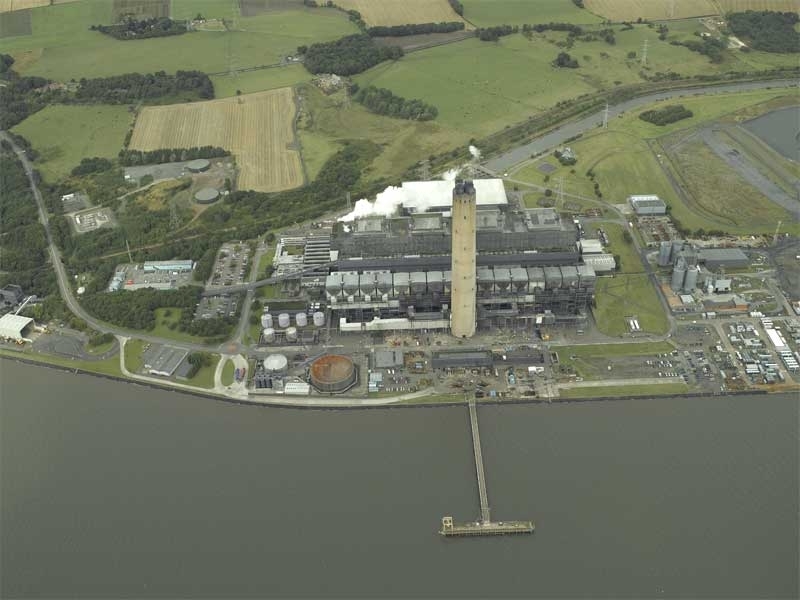 The coal-fired power station at Longannet in Fife began generating electricity in the early 1970s, using water from the River Forth for cooling. Power stations and electrical sub-stations are noted on current OS maps, while recently constructed windfarms can be located using industry-related websites and aerial photographs.